Intellectual disability (ID), also known as general learning disability and mental retardation (MR), is a generalized neurodevelopmental disorder characterized by significantly impaired intellectual and adaptive functioning. It is defined by an IQ under 70 in addition to deficits in two or more adaptive behaviors that affect every day, general living. syndromic intellectual disability: in which intellectual deficits associated with other medical and behavioral signs and symptoms are present.Down syndrome and fragile X syndrome are examples of syndromic intellectual disabilities. Non-syndromic intellectual disability: in which intellectual deficits appear without other abnormalities. 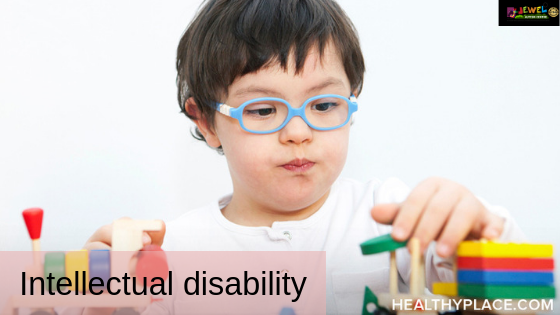 Down syndrome and fragile X syndrome are examples of syndromic intellectual disabilities.